ARIES Transilvania and iTech Transilvania Cluster by ARIES T are organizing an WATIFY event on February 19, 2018, under the umbrella of The European Technology Transformation Week, which will take place between 19-23 February 2018. The European Commission is organizing the European Industry Days on February 22-23 2018, to ensure that policies at European, national, regional and local levels work together to enable European industry to deliver jobs, growth and innovation in Europe and to highlight new emerging industrial, societal and environmental trends that may need a policy response. The objective of this event is to find innovative tools in order to enhance relevant stakeholders to take “The Road from Outsourcing to Innovation”, thus creating new ways to insure a sustainable development using digitalisation as main tool. 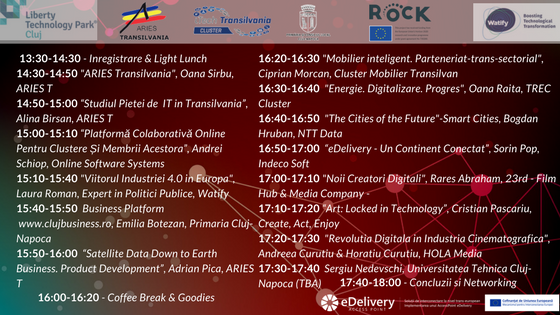 The event will be organized under the umbrella of Transilvania Digital Innovation Hub and its purpose will be for clusters to present their need for innovation and our member companies to present their ideas and to come up with innovative solutions for the clusters’ growth and development. The main purpose of Transilvania Digital Innovation Hub is to offer digitalizing services for different industries through its members by supporting innovation development within IT companies, by offering digitalization services for non-IT industries through automatizing tools, softwares to ease the communication and collaboration with clients and to encourage them to use different tools to become more innovative. 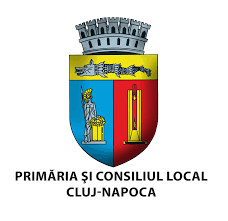 At the same time, through Transilvania Digital Innovation Hub, we want to support and develop digital skills competences by offering non-IT courses and trainings (soft skills trainings) and also hard skills trainings for the employees of IT companies, and so, to serve the technological and digital component of the IT and non-IT industries.